Argos Collection Codes are the perfect gifts. And here’s why: We’re all different. So by giving a collection code for a chosen value your recipient feels more rewarded. They not only get a gift they want, they also get the fun of choosing it for themselves from over 30,000 different items at Argos. To Spend your Argos Collection Code print out the PDF and present it at the till in one of over 700 Argos Stores throughout the UK. 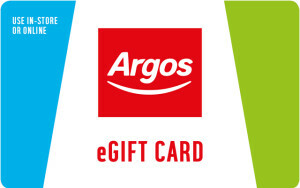 To Spend your Argos Collection Code present your code on your device in one of over 700 Argos Stores throughout the UK.